← Day 13 – Who am I? Day 14 began with an early wake up and pack the truck up for a morning of Paddle Boarding. (SUP). First off was to hit Uppers (Upper Lake Clementine) and here’s what I saw..
YEPP! closed til April, I don’t give up, so off to lowers to at least get in the water. I setup the gopros and this was the view as I put the board into the water. It was like glass! Only a small fishing boat was out on the water and it was so smooth. 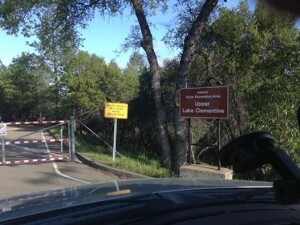 I paddled to the “ROCK” and back, there were a lot of logs – be careful out there. 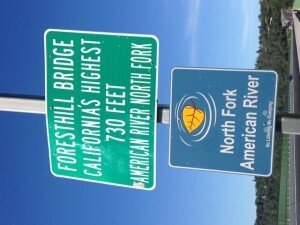 After an hour or so of SUP I thought it would be fun to stop at the highest bridge in california. (really? ) yes really. The only thing that I found disappointing was this… I decided not to look up the stats, but I found this sign very disappointing. Life is such a precious thing. I decided to get espresso at the local starbucks in Auburn and finish reading “The Art of Communication” by THN. 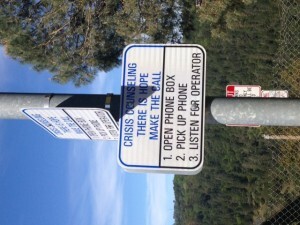 Then onto the next stop, I decided to take folsom-auburn road all the way to folsom lake and hit my favorite dotton’s point (captured in earlier blogs). One thing that this 30 day challenge was for is transformation and I can proudly say that today I felt it. I had two different wet suits on today and they fit better than they have ever fit. I’m very happy w/ the results so far. Onward to more transformation. 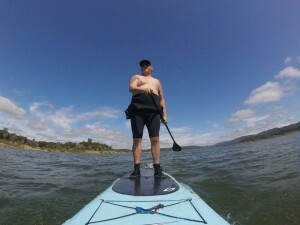 Now back to the main thread here, every holiday I’ve decided i’m going to paddle board in the morning to celebrate being alive, being active, and being me. Not much to talk about on the 30 day challenge today…. so maybe tomorrow I’ll pick up more.. This entry was posted in 30day, SUP. Bookmark the permalink.